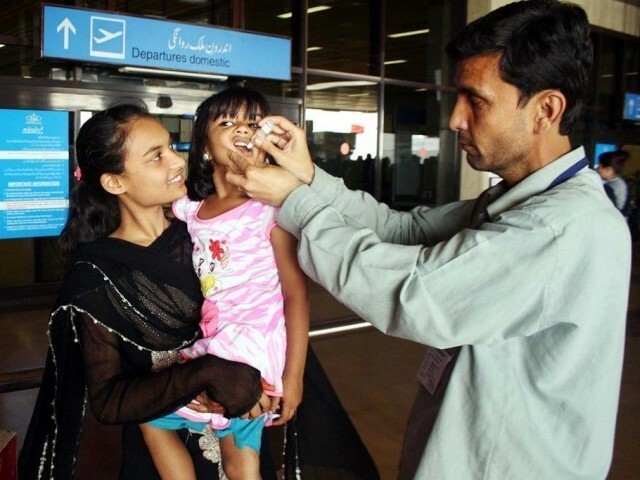 The World Health Organisation (WHO) has recently recommended travel restrictions on Pakistanis travelling abroad to prevent the spread of the polio virus, as Pakistan continues to be one of the few remaining countries where polio is still considered a threat. This aforementioned restrictions seem to be a last ditch effort by the public health agency to curb the spread of the virus from a country that has been unable to run a sustained inoculation campaign due to a variety of reasons which are better left unsaid. However, what I am concerned about more is the effect that these travel restrictions will have on Pakistani travellers who are already beleaguered by the ‘curse of the green passport’. Now, this might seem too harsh a statement and although it makes me sad while I note this, but the Pakistani passport remains amongst the worst in the world to travel with. Even though, many restrictions already apply to anyone travelling from Pakistan but I believe that these latest constraints will mostly add to the hassles of travellers holding green Pakistani passports. Frequent flyers, who hold Pakistani passports, will tell you of all sorts of experiences they have faced at various airports across the globe. From being selected for random checks to being interrogated for hours before being allowed access into the country of our destination, we Pakistanis have been through it all! As a result, Pakistani travellers have to be prepared for everything when boarding a plane and, unfortunately, have to make sure they have all possible documents in hand as they may even be asked to present their qualification degrees when travelling for a business visit! The polio vaccination certificates will now be another addition to this never-ending checklist of documents required for Pakistani travellers; this effectively means that, we, Pakistanis will now have to stand in yet another line to have our vaccination certificates checked at airports across the world. On the other hand, the steps that the Pakistani government would now have to take, in order to ensure that all travellers are compliant with the requirements of WHO, will put even more strain on an economy that has been struggling for years with inflation continuing to rise steadily. The mitigating steps required by the government will include setting up kiosks at airports to provide polio vaccination to travellers and guaranteeing that they have valid vaccination certificates before departure. All these measures will invariably require a lot of money and allocations from a budget that continues to be dominated by military spending due to the security situation in the country. Polio is truly a debilitating disease and all measures should be taken to eradicate it from the face of the Earth. While I do respect WHO’s stance, placing restrictions on the entire nation will only further Pakistan’s isolation from the rest of the world, the government must take action to ensure that all the necessary steps are being taken to have the travel limitations lifted as swiftly as possible. 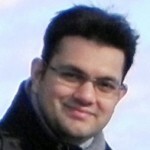 Beware of email and SMS spoofing: You could be impersonated! Would you like to stay online after you die? Going to the bathroom? No need for a status update please! If you have passport and you have ever go to another country, you must be know that your statement is not true. To be honest the experience varies from person to person. When studying in the UK I had to go through police control interviews every time I enter UK (I got the visa without an interview just after 7/7 bombing and also I never faced any problem living in the UK). Now in Scandanavia / Europe, travelling with my family, never have had any issues Alhamdolilah. As one commented, travel with pride and everything is fine. It is just the mindset. Yes our country has issues but some time or the other every country faces issues like this. The goal lies in trying to solve these issues. We should act maturely and not make a mountain of a mole hill. Pakistanis are one of the most travelled people and I disagree with Green passport is cursed. It is the way you dress, talk and carry yourself etc. If you are a scruffy German, they will most likely stop and search you. Most of the times they look at your passport is immigration counters. After that, it is mostly how you appear to the police/customs etc that they stop you. Indians are discriminated a lot because of their simple appearance and traditional bindis and Tilaks. Stop blaming US. Polio was a problem even before Osama was killed. At that time India was Polio free. Not surprisingly, the only other 2 Nations which have Polio have a terrible islamist insurgency where the insurgents have taken over a large of the the Territory – Afghanistan, Nigeria. Both have significant Muslim population.